Other versions: CPC; AMI; SPC. 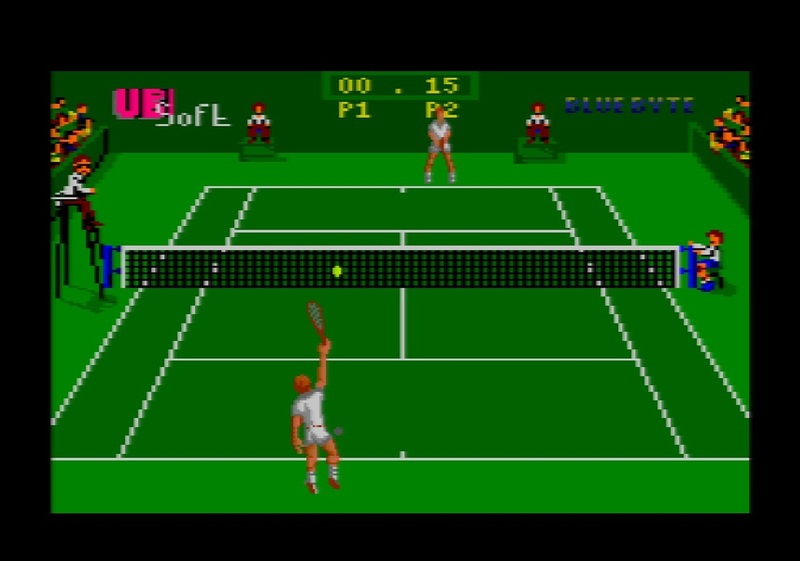 Not keen on giving all the tennis plaudits to Tennis Cup 2, Bluebyte chose to update their previous home computer ball-bashing title Great Courts Tennis for the GX4000, and they didn’t do a bad job of it either. Like Loriciel’s racket-swinging but somewhat stuttering effort, it was refreshing to see a developer actually make a good fist of it, updating the CPC version with care and skill to utilise the improved Amstrad hardware. 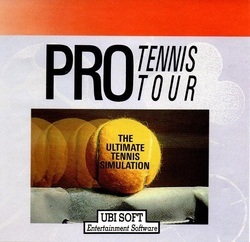 Pro Tennis Tour was the result, and whilst it is less sophisticated and easier to grasp then Tennis Cup 2, it suffers from a few problems that are almost the polar opposite of its genre stablemate. Mirroring the presentation style, Pro Tennis Tour opts to focus more on fluid, rapid action and concise options rather than realistic or technical accuracy. For me, this proves to be the slightly better of the two games due to this alternate yet more succinct approach. 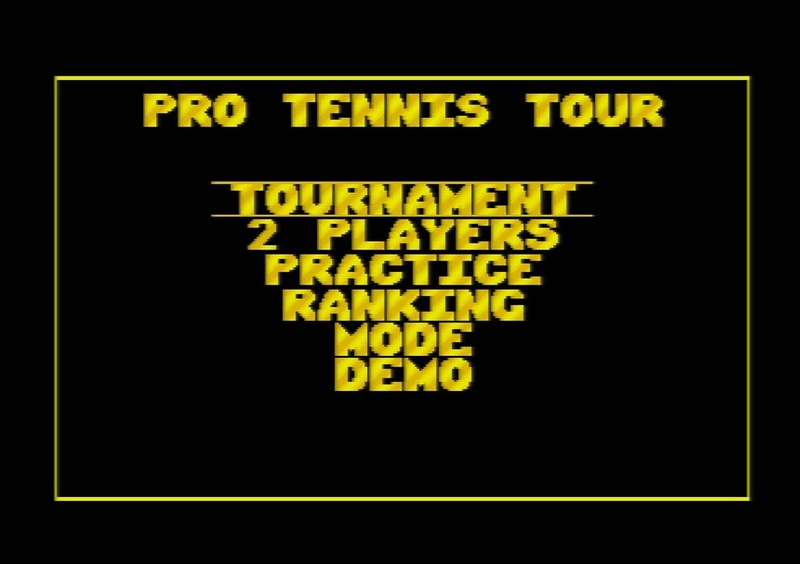 Another title impressing in the visual department, Pro Tennis Tour has a nice colourful title screen and functional, neat menus. 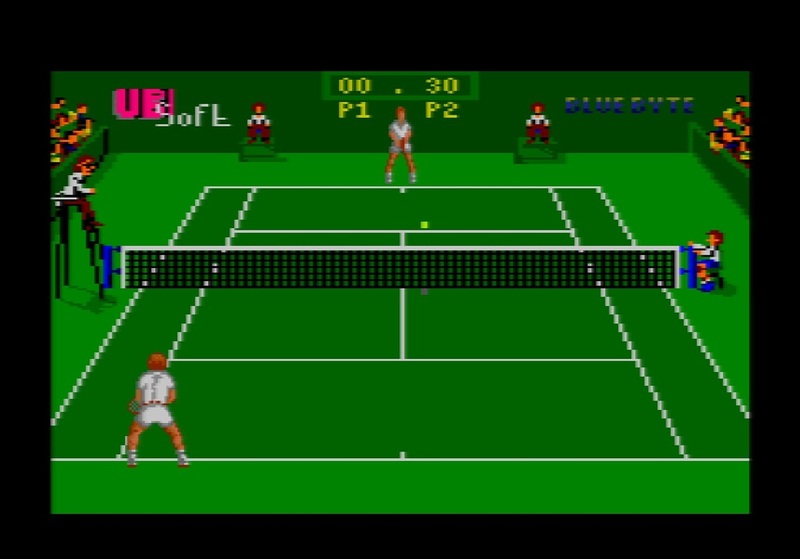 It’s obvious that the options are very few compared to other tennis games of the era, but this means you can get into the action quicker. Playing with 2 players means this is a great advantage, (ahem). 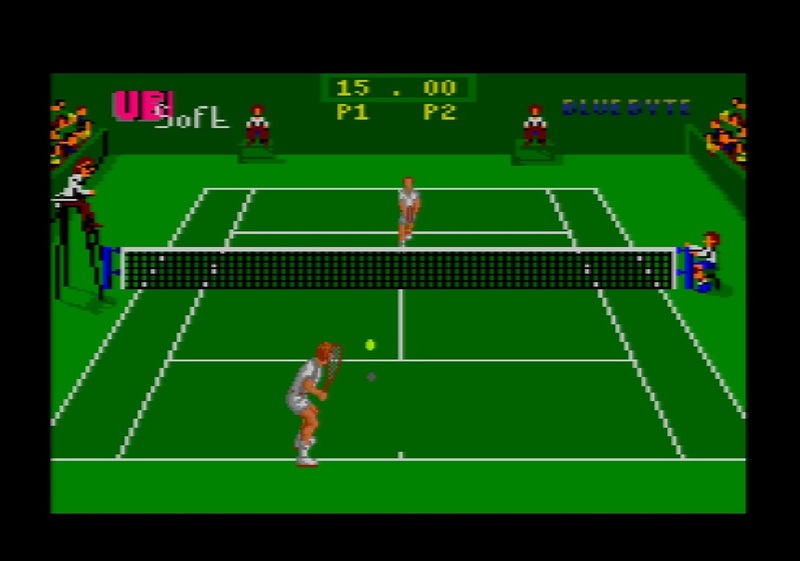 The main game screen is big, the camera angle set high, with detailed hardwired primary sprites at both ends of the court. The court detailing is a little rough in places, the perspective is virtually non-existent (the ball is a yellow block most of the time) and the colours are solid and brash with little smoothing on the edges. However, the animation, speed and movements of the players are first rate. It’s quick too; highly responsive and makes the game run at a consistent, stimulating and comfortable pace. This is much more like it for a tennis game; no jerky animations, no limits of the positions you can hold on court. This is all topped-off by some little cheeky details like the umpire’s head following the ball and the arm raised for the line judges. It seems tennis is a genre which translates to a very smart look on the GX. 15 - Love. Who'd have thought a simple racquet could make you levitate? They wouldn't allow those colourful trainers at Wimbledon, no sir! Although the gameplay is enjoyable, the limits on options and the inability to make your own shots do take its toll in the long run. Exciting 8-bit stuff, but the harsh confines do immediately create a finite amount of longevity and a degree of dissatisfaction. Good graphics, okay sounds and some nice, swift, clean tennis action makes it a fun knock-around, but with so little to actually do after completing the tournament it tends to have a short life. 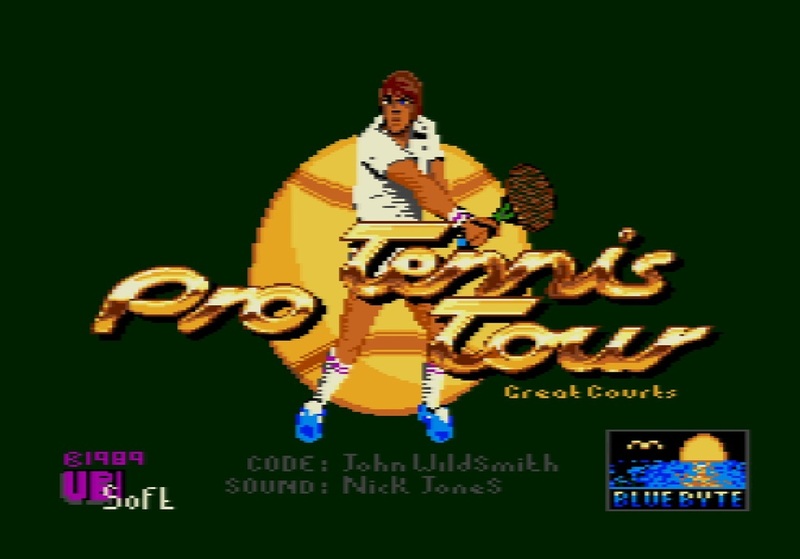 The two-player mode drags it back into the frame for longer, which is probably the best aspect of Pro Tennis Tour. 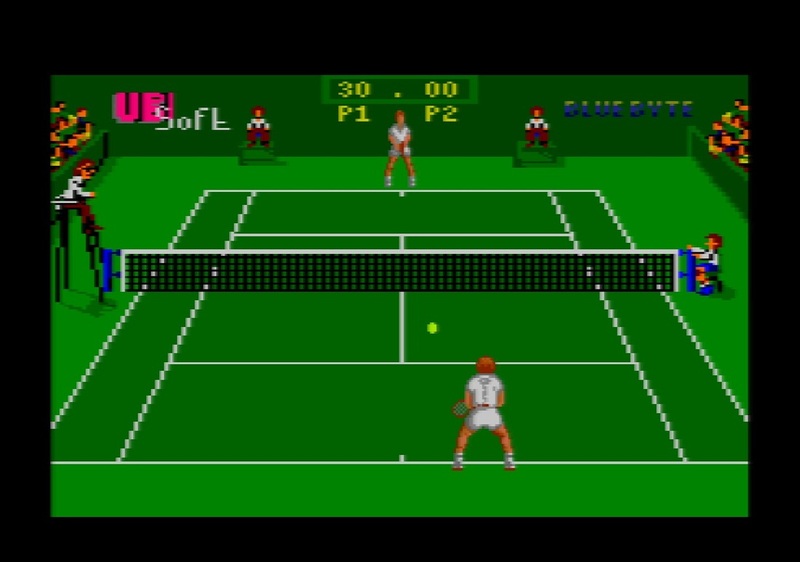 Overall a good effort by BlueByte, providing the GX4000 with an entertaining, enjoyable but desperately short-lived tennis tournament. Deuce!